1) Patrick, describe the shift in thinking you’ve had over your career as a strength coach and the various methodology and gurus that influenced you. Wow, that is a loaded question! I started out lifting when I was 13 (I am 30 now, almost 31), so I have had many influences along the way. When I started out, I just lifted to get bigger (I was a small kid). While I was working as a trainer at a gym in NYC, I became good friends with one of the trainers who was a competitive powerlifter. He was really instrumental in changing my ideas of training. He would lend me a lot of the Milo Strength Journals from Ironmind (where I read many Dr. Ken articles), as well as some of the classic strength books like Super Squats, Dinosaur Training and Brawn. So I got really into reading about strength training and that basically was my “real” foundation in training – squats, deadlifts, presses, etc. 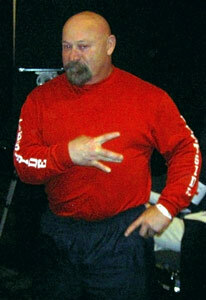 I then started reading more about Louie Simmons and Westside barbell. That prompted me to purchase Mel Siff’s “Supertraining” and Vladimir Zatsiorsky’s “Science and Practice of Strength Training”. It was pretty much over from there…I was hooked. I read everything I could on strength training, and I even joined an Olympic weightlifting team and learned the lifts and competed for a little bit. Around the early 2000’s (probably around 2002 I think) I saw Mike Boyle speak, and that was really influential as well. After I saw him speak I started checking out all kinds of other great coaches like Vern Gambetta and Al Vermiel. Additionally, Mike was talking a lot about various rehab professionals, so from there I started reading things by Shirley Sahrmann, Gray Cook and Stuart McGill. Since then my library has grown considerably over the past several years. 2) How does being an LMT make you a more effective trainer? Soft tissue therapy is something that I had always been interested in (especially after reading Charlie Francis’s book Training For Speed), so getting my massage license just gave me another tool in the bag. I don’t sit around and do massage like a traditional massage therapist. I use it when I feel that it will give me the result I want with regard to getting someone to have better awareness, decrease muscle tone and/or improve overall movement (which of course happens when the individual is off the table and performing exercises or movements). Additionally, it is a great thing to be able to offer when a client or athlete feel a little “beat-up” after training hard for consecutive days. There are many opinions out there on massage, many different modalities (ART, MFR, NMT, etc), and many ideas/theories on why it works and what is actually taking place. I have some of my own ideas and skepticism regarding what it is that I do…but that is a totally different interview. 3) You’ve recently opened up a studio with Keats Snideman. Please shed some light on the decisions you faced before opening up the studio. I’m sure you have some great advice for aspiring trainers wishing to open up their own business. Having your own facility is awesome. I love that I can open up shop whenever I want, say what I want, do what I want, and take vacation when I want. Of course, having your own facility also comes with headaches. For a young trainer, being good at what you do is very helpful and you additionally need to know a thing or two about running a business and marketing (something I need to learn A LOT more about!). 4) Now that Youtube has become so popular, we see a lot of videos uploaded from popular trainers. What are the main problems you see with exercise form and methods being espoused by many of today’s trainers? Youtube, like all of the internet, can be vary dangerous. Anyone can log on and proclaim they are an expert. Unfortunately, the public isn’t to informed on what is “good” or “bad” – they typically go with what looks “cool” or what promises the quickest way to get results. One of the biggest issues with youtube is that exercise technique on most of the videos is horrible! A lot of these people are strength coaches or facility owners, and they put this stuff up as if they are proud of it. Either I have a totally different idea of what good exercise technique is or these videos really shows us how far this industry has to go (probably a little of both). But, that is how the internet goes. There is a lot of garbage out there. 5) Have you got any projects in the woodworks? What’s next for Patrick Ward? Well, this will probably be published after my lecture for the NSCA Arizona State Clinic. Keats and I are talking about the Art & Science of Strength and conditioning and how critical thinking and skepticism fits into the whole thing. After that, there are a bunch of con ed. courses I am looking to take (always trying to learn more!) and from there, just trying to do the best I can with my clients and get the best results possible. This is what I learned most from checking out Gray Cook’s work. Each joint has to show its optional mobility before you can try and train for stability. This concept has been further driven home after hanging out with physical therapist Charlie Weingroff a few times. He has taught me a ton and is probably my biggest influence right now. I never did an internship in this field, so everything I have learned is because I wanted to go out and learn it (con ed., conferences, books, DVDs, etc), so hanging out with Charlie and having him talk to me about some of his concepts has been incredibly helpful. While mobility before stability is the way it should go, stability before mobility may sometimes be needed depending on the person and their individual issues. The “art” of strength and conditioning is really about being able to assess the needs of the person standing in front of you and determining the best approach to helping them get the most out of their training program. Great tool. They are a nice to have but not a need to have. I started playing with some exercises like swings and getups about a year and a half ago. Since working with Keats, I have really learned a ton about proper technique and coaching some of these exercises, so that has been really helpful. I am a middle of the road guy, and don’t like to speak in absolutes. Bilateral and unilateral lifts both have their place. It just depends on the individual in question and what you are looking to get out of the exercises. I use a lot of unilateral training with people, but we still do bilateral squats and deadlifts when the opportunity presents itself. Again, I am a middle of the road guy. If things are tight, then stretch. I think that people who speak in absolutes about this stuff tend to take things way out of context. Programs should be well rounded and some people may need stretching, while others may not. We use all kinds of methods at our facility – soft tissue work, mobility work, static stretching, muscle energy techniques (aka contract-relax stretching), active isolated stretching, etc. It is all good stuff! I am a fan of whichever tool is going to get you the best result. For some it may be one thing and for others it may be something else. If all you have is a hammer, then everything will look like a nail. Thank you very much for your time Patrick! It’s been a pleasure. Thanks, Bret. It has been fun. So You Want to Be the Next Top Strength & Conditioning Guru? If you’ve trained at commercial gyms for a large part of your life like I have, you might assume that all trainers are a bunch of dimwits. However, this is actually not the case. Since breaking into the Strength & Conditioning scene, I’m absolutely amazed at the sheer number of intelligent fitness professionals out there who remain virtually “under the radar.” I wrote this blogpost for those who desire to become the next top fitness guru. I have put a lot of thought and consideration into what separates the gurus from the non-gurus and have come up with fifteen main reasons. To help illustrate my points, I’m going to use three of the most popular strength coaches as examples. These individuals are Mike Boyle, Gray Cook, and Mark Verstegen. You simply cannot reach the top if you don’t love fitness. If you love what you do, it’s not work. This is mandatory as most top fitness professionals at some time in their lives spent an extraordinary amount of time delving into the fitness field, and most top fitness professionals still spend more time in a single day learning about fitness than the average trainer spends in a month despite the fact that they’re already at the pinnacle of their career. Fitness has to become a way of life if you want to reach the top. As Confucius said, “Find a job you love and you’ll never work a day in your life.” If you don’t love fitness, you’ll never be able to withstand the long hours of training, continuing education, reading, writing, speaking at seminars, and talking to others about fitness, which are all critical components to reaching the top. If you’ve ever had the privilege of speaking to Mike Boyle, Gray Cook, or Mark Verstegen, their love of fitness oozes heavily through their words. Knowledge is a prerequisite to becoming a guru. 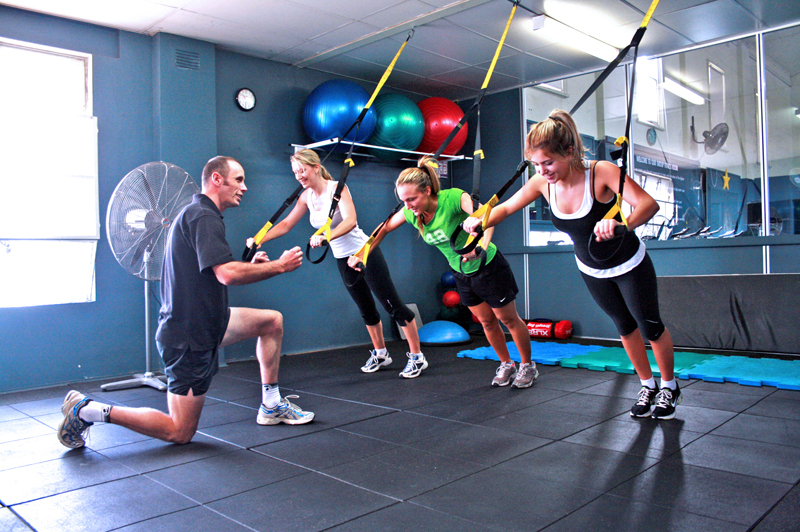 Not only must you be well-versed in all areas of fitness, you must be a top expert in at least one area of fitness. Mr. Boyle, Mr. Cook, and Mr. Verstegen are all innovators and leaders in terms of functional training and corrective exercise. Have patience because it takes years of learning the science, theories, and methodology as well as years of implementing the knowledge in order to figure out how to improve upon current practices. I would argue that a base of knowledge and experience is critical as well, as the top gurus possess tremendous amounts of common sense and general competence. Furthermore, being at the cusp of scientific advancement breeds creativity and innovation. People like to be inspired. If you can’t inspire people as a trainer or coach, you’re probably in the wrong profession. The top trainers and coaches are great at motivating others to work hard and be consistent in order to reach their goals. I have no doubt that Mr. Boyle, Mr. Cook, and Mr. Verstegen are excellent motivators as trainers and coaches, and I know from first-hand experience that they are inspirational speakers. When you leave a presentation delivered by one of these individuals, you can’t wait to implement what you’ve learned into your training. Motivational and inspiration skills stem from a burning desire to help people. While cockiness is a huge turn-off, confidence is key. Would you rather hire a trainer, coach, or therapist who doubts his abilities, or one who knows that they’re amongst the best in the world? Confident individuals seek to accomplish what others have not. Confident individuals lead others. According to Henry David Thoreau, “Success usually comes to those who are too busy to be looking for it.” I’ve heard Mike Boyle talk about the days when he slept in his facility after working such long hours. Knowledge is good and experience is also good, but knowledge combined with experience is lethal! You cannot become a guru without putting in your time both training yourself and training others. Mike Boyle was once a powerlifter. You can tell from the videos of Mr. Boyle, Mr. Cook, and Mr. Verstegen that they’re all in pretty good shape and still exercise to this day. This is imperative as you need to be strong and conditioned in order to test out new exercises, ideas, and methods. Professionalism is an often overlooked aspect of making it to the top. While it is not necessary to always wear a suit and tie in the fitness field, it is important to be respectful and exhibit proper etiquette and manners. The higher you make it in the field, the more “haters” you’re going to accumulate. One must not be dragged into ridiculous forum-wars or resort to excessive retaliation. People don’t want to do business with a loose cannon. I have had the privilege of meeting Gray Cook and Mark Verstegen and was astounded by their level of professionalism. Integrity is one of the most important qualities necessary for success. Integrity means admitting when you’re wrong and being open-minded to new ideas. Integrity also means not endorsing something you don’t believe in, standing up for what you believe in, sometimes going against the grain, and holding true to your values. No one wants to follow a sleazy scoundrel with no integrity. I’ve heard Gray Cook stand up for what he believes in time after time. I’ve heard Mike Boyle go against the grain on many occasions, and I’ve seen him change his thought process when he learns something new. If you’ve seen Mark Verstegen’s Core Values, you know that his level of integrity is through the roof! There are so many different variables in Strength & Conditioning that it is just as much an art as it is a science. From program design to total training mix, exercise selection, rep styles, equipment, and form/technique, there are literally an infinite amount of ways to train. While the top Strength & Conditioning gurus tend to agree on a lot, they all have their own philosophies and methods. If you agree with a certain individual about every aspect of training, then you are a blind follower and you don’t think for yourself. Followers will never reach the top as they are simply reiterating what others have said. In order to be an innovator you must think for yourself and develop your own philosophy. Mike Boyle and Gray Cook are big on mobility and stability, the joint-by-joint approach, and joint-friendly training, yet Mr. Boyle likes the trap bar deadlift whereas Mr. Cook likes the conventional deadlift. Mike Boyle is huge on unilateral training. Mr. Verstegen is big on Keiser equipment with pneumatic resistance. All three like to do corrective exercise. Their methods are at the same time very similar yet still strikingly different. You must absorb as much as humanly possible and then determine your stance on the various issues and formulate your particular belief-system. When you get to a point where you reach an extraordinary level of understanding about a certain topic, you tend to develop your own language regarding that particular topic. This may arise out of the need to communicate more effectively or because you are creating new words to illustrate certain concepts. Nearly all Strength & Conditioning gurus are unique in this regard. When you read Core Performance and hear Mark Verstegen talking about prehab, elasticity, and movement prep, you realize that he really knows his stuff. When you read Mike Boyle’s classification system of unilateral lower body exercises, you realize his deep level of understanding on the topic. When you listen to Gray Cook talk about assessment and fundamental movement patterns, you can imagine his immense level of insight on the topics. These individuals even name their exercises differently according to what terminology makes sense to them. On the StrengthCoach.Com forums Mike Boyle has a tremendous ability to sum up an entire paragraph worth of thought into one powerful sentence. Dry individuals and individuals with huge personality flaws such as selfishness, stubbornness, conceitedness, and close-mindedness never seem to go too far in this field. Being likable comes natural for many people, but for others it doesn’t. I recommend reading the book How to Win Friends and Influence People if you struggle in the “likability” department. Try to inject some humor into your every day life and never take yourself too seriously. The best speakers, trainers, therapists, and coaches know how to get people to think AND laugh. If you’ve seen Mike Boyle or Gray Cook speak, you’ll know that they are generally likable people who crack jokes from time to time. Likability and humor go a long way in networking and word of mouth advertisement. There are most likely several trainers, coaches, and therapists out there who know just as much as Mike Boyle, Gray Cook, and Mark Verstegen, yet you’ve never heard of these individuals because they don’t know how to market or brand themselves. When I think of Mark Verstegen, I think of Athlete’s Performance, I think of professionalism, I think of quality, and I think Elite. Mark has done an unbelievable job of branding himself. While learning about fitness and training people is fun, learning about marketing is not always very fun. You must get out of your comfort zone and learn how to market yourself or you’ll never become popular. As technology grows, marketing becomes more and more complicated, so stay on top of technology and trends. Remember, if you can’t make any money in fitness, you’ll have to find another job and you’ll never become a guru. Some people have tremendous levels of drive, determination, motivation, and dedication, while others do not. If you want to make it to the top, you’re going to have to work hard. It’s going to take you years upon years. When you think you know it all, you’ll quickly realize that you don’t know crap. Just when you think you’ve got a handle on everything, something new will pop up that will force you to get out of your comfort zone. You have to keep working hard to bring up your weaknesses. You can never just coast, you have to keep pushing the pedal to the metal, albeit with just the right amount of balance to avoid burnout and maintain sanity. Mike Boyle, Gray Cook, and Mark Verstegen know how to get people moving better and how to create better athletes. You don’t see them telling bodybuilders how to prepare for their contests, nor do you see them telling powerlifters how to bench press more weight. 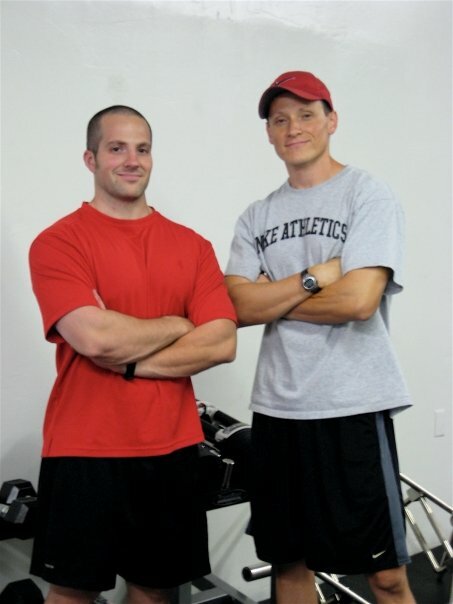 Mike Boyle let Pat Beith control the marketing for his Functional Strength Coach 3.0 series. Mark Verstegen has dozens of employees working for him carrying out various functions. Gray Cook has aligned himself with Perform Better and StrengthCoach.Com in order to spread his popularity. Focus on doing what you’re good at and try to be as well-rounded as possible, but know when to ask for help and when to let others take a hold of the reigns. In the Strength & Conditioning field, there is a tremendous amount of scientific theory and scientific journal research. There is much to be learned from science and research. While certain knowledge can only be gained from learning the science and research, there is a vast amount of information that we don’t yet understand. While science can offer some explanation, there is an enormous body of knowledge that can only be earned from working with hundreds of people in the trenches year in, year out. And yet experience can’t tell us everything either. A certain amount of success depends on the trainer, therapist, or coach’s intuition. The most successful gurus have excellent hunches. Think about how safety-oriented Mike Boyle, Gray Cook, and Mark Verstegen are in terms of training in relation to the lumbar spine. Think about Gray Cook’s screening and assessment process. Think about the exercises and equipment that all three of these guys were promoting back when they weren’t even popular. Think of Mark Verstegen’s attention to tissue quality. The top gurus are often years ahead of the science, and they aren’t afraid to present their new theories to the fitness community. Strength Coach or Personal Trainer? Who’s Better? I have noticed a remarkable trend in the fitness industry over the past several years. The strength coaches tend to be extremely innovative in terms of creating better systems for training many people at once, but the personal trainers tend to be extremely innovative in terms of creating strategies for training one person at a time. Strength coaches tend to be incredibly practical and efficient, while personal trainers tend to be creative and adaptable. While I had my training studio Lifts, I did small group training. Sometimes I would have five clients at a time, while other times I’d have only one client at a time. Often during the 5:00 and 6:00 time-slots I’d have around 8 clients. The most clients I ever trained at once was 12 clients, although I had one other trainer working with me at that time. The strategies are quite different when you train one person at a time versus many people at a time. When you train large groups, you must take into account equipment availability and the lifts you’d like to coach intensively, as you can’t be everywhere at once. When you train one person at a time, you can modify the workout, prescribe more difficult variations (since you’ll be right there watching their form), and rig-up MacGyver-like exercises on the spot. I believe that every strength coach who is always training multiple athletes at once should do at least one one-on-one session per week with a certain athlete or client in order to keep their creative juices flowing. When I was a high school math teacher I would also tutor students after school. You can work wonders with kids when you individualize their instruction. A considerable more amount of learning can take place under individualized circumstances as opposed to group circumstances. Similarly, when you train an individual one-on-one, if you see something wrong with form you can test (assess) them right then, you can switch exercises, you can have them do more or less sets depending on how they feel on that particular day, and you can change strategies altogether and work on a different quality (for example if they are drained on that particular day maybe you’d want to work more on mobility or energy system development). In essence, much more athleticism can be gained from training an individual one-on-one as opposed to tossing him into a group-system. Conversely, I believe that every personal trainer should do some group training at least once per week as it really leads to improvements in a trainer’s systems and philosophy. When you train a bunch of people at once, you learn what your “big rocks” are and how to get as much work done in as little amount of time as possible. I believe that most of the creative trainers in the fitness industry who come up with new exercise variations are personal trainers, while most of the creative trainers in the fitness industry who develop the best systems are strength coaches. In other words, trainers tend to get really good at what they do most. If you want to be the best trainer possible, dabble in one-on-one training, small group training, and large group training. If you’ve been training people for long enough, you gain the ability to spot talent. I’ve been chomping at the bit to train my niece Gabrielle Contreras. I told myself that I’d wait until she turned 13 years old to train her. Three years ago, while I had my training studio Lifts, Gabrielle would visit on the weekends and watch me train clients. On about ten different occasions I put her through a simple bodyweight training routine consisting of Bulgarian squats, single leg hip thrusts, step ups, single leg back extensions, push ups, chins ups, hanging rows, planks, and side planks. In the meantime, she’s been playing club volleyball as well as volleyball for her school team. One day several years ago I looked over and Gabrielle was squatting with the barbell on her back. I had never taught her how to lift but she was using perfect form. She looked like a piston; moving upwards and downwards with ease. She was ten years old at this time and I was blown away at her stability and fluidity. I didn’t allow her to keep lifting weights as I wanted her to wait until she really wanted to adhere to a strength training routine in order to advance her athleticism. During volleyball season, her coach has her doing plenty of lunging, planks, push ups, and jumps. Some of the things that impressed me about her form is her mobility, core control, glute activation, minimal energy leaks, and power out of the hole. To be this strong and fluid on her very first strength training session shows that she has tremendous talent. Think back to what your form looked like the very first time you did squats or deadlifts. I bet it was horrific! Furthermore, when an athlete is easily coachable and shows extraordinary levels of kinaesthetic intelligence, it’s a great indicator as to how far she’ll go in sports. So I’m expecting great things from my niece in the future. I really hope that she joins Track & Field as I am extremely interested in specific training toward the 100 meter sprint. With supranormal levels of talent and superior training at a young age, perhaps she’ll one day be the World’s Fastest Woman! People move with their low backs instead of their hips! When the low back moves and the hips stay locked up, the gel inside of the lumbar discs propels toward the outside of the disc and can cause bulges or herniations. This is often the source of lower back pain. The solution is not as simple as simply learning proper mechanics. Many people are unable to move with proper mechanics due to poor mobility and motor control. It takes some time to reprogram the body to move correctly. In this blog I will teach you how to get rid of back pain by combining seven different strategies. Since this blog is intended for the common person, I will refrain from using too much technical terminology and try to keep it simple. In the interest of brevity, I will exclude specific exercises and drills, as this blog is intended to entice the reader to learn more about each strategy listed. Over the years people have built up adhesions and scar tissue that needs to be cleared. Furthermore, trigger points need to be desensitized. A muscle cannot function optimally if it has adhesions, scar tissue, and trigger points. By using self-myofascial release (SMR), which is simply a technical term for a “poor man’s massage,” you will restore optimal tissue quality and allow proper functioning of the muscle’s nerves and blood flow. There are two ways you will address your soft-tissue quality. First, you will use a foam roller. You will roll out your entire back, including the erector spinae, lats, rhomboids, and traps. You will also roll out your glutes, hamstrings, calves, quads, IT band, hip flexors, adductors, and pecs. A simple Google search will allow you to find pictures and videos of foam roller drills for each muscle group. And second, you will use a tennis ball or better-yet a lacrosse ball for more targeted therapy. You will use the ball to focus on the arches of the feet, the calves, the upper glutes, and the mid scapulae. 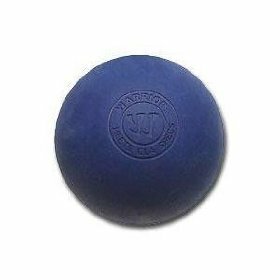 Although you can find many different drills on the internet for SMR, the best way to learn the correct application of the foam roller and lacrosse ball is to simply buy them, get on them, and start moving around. Your body will show you how to use them! There are many different opinions in the fitness industry regarding the role of static stretching, but I believe it’s the best way to turn off inhibition and increase flexibility. Two main points to static stretching is to learn how to relax into the stretch and to combine rotational aspects into common stretches (PNF techniques) in order to kill two birds with one stone by stretching multiple muscles simultaneously. Never stretch so aggressively that you end up stretching ligaments! In particular, hamstring flexibility and hip flexor flexibility are critical components to minimizing low back stress. Many people have weak glutes. The glutes don’t like to contract unless need-be. They like to let other muscles such as the hamstrings and quads do a job and stay dormant unless you force them to contract. Years of inactivity and sitting (which shortens the hip flexors and causes more glute inhibition) cause the nervous system to literally forget how to use the glutes. Use two different strategies to increase your mind-muscle connection for the glutes. First, incorporate loadless training into your arsenal, which is just a fancy term for “flexing your glutes.” Seriously, start squeezing your glutes as hard as possible every ten minutes or so throughout the day. Hold the contraction for around one second and then shut them off. Do this around three times during each “session.” This will equate to around 300 maximal isometric contractions per day and will go a long way toward increasing your glute activation. Second, start doing low-load training which simply means start performing relatively simple glute exercises while focusing on high-quality glute contractions. Some good glute activation exercises include bodyweight glute bridges, quadruped hip extensions, side-lying abductions, side-lying clams, bird dogs, x-band walks, single leg glute bridges, and fire hydrants. 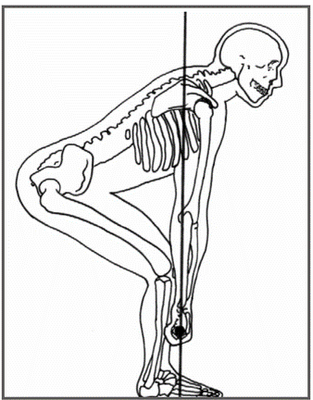 The best way to improve mobility is to add strength and therefore stability at new ranges of motion. By performing the right drills, you can simultaneously increase mobility and stability. Learn how to contract the muscles being stretched at the end range of a motion and pull the body into new ranges of motion with opposing muscles. There are many great mobility exercises that can easily be found online. This could very well be the most important tip of all. Most people move by contorting their lumbar spines. Proper movement mechanics usually involves keeping the lower back locked into place (bracing) in neutral position while moving about other joints such as the thoracic spine and hips. Even while exercising, most individuals have poor lumbar mechanics. They overarch (excessively extend) their low backs during squats, deadlifts, bridging, quadruped, lunging, and back extension movements, they round their lower backs (flexion) during deadlifts, bent over rows, good mornings, and reverse hyper movements, and they twist their lower backs during rotary movements. In all of these examples, this is improper mechanics. Advanced lifters and high level trainers/coaches often have an insufficient understanding of lumbar mechanics. It takes much diligence to reach optimal core control but it is a critical component to moving, exercising, and eliminating back pain. An excellent trick to learning core control is to perform anti-movement exercises. Anti-movement exercises teach the lower back how to brace heavily to resist movement and strengthen the core in a manner that uses all of the vital core muscles involved in bracing the core. There are three types of anti-movement core exercises: 1) anti-extension, 2) anti-lateral flexion, and 3) anti-rotation. Anti-extension exercises prevent lumbar arching and include front planks and ab wheel rollouts. Anti-lateral flexion exercises prevent lumbar side-flexion and include side planks and suitcase carries. Anti-rotation exercises prevent lumbar twisting and include Pallof presses. Cable chops and lifts are valuable core exercises as well. These exercises should not be thought of as less difficult or challenging than traditional core exercises. If performed correctly, they are very hard. Most people who suffer from back pain have strong backs, and that’s precisely why their backs hurt. They use their erector spinae musculature (back muscles) to lift things rather than relying on the glutes, hamstrings, and quadriceps. By strengthening the hip and leg muscles, the body will be encouraged to lift with the appropriate muscles. This doesn’t mean that the erector spinae will not be involved in lifting mechanics, as they will always contract heavily as stabilizers. 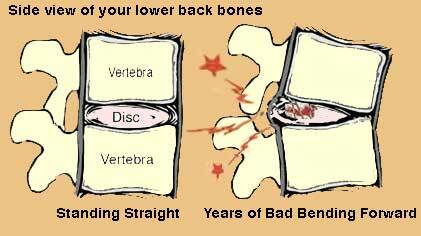 However, the lumbar discs will be spared as the lower back will be stabilized to allow the muscles of the hips and legs to be prime movers. It is imperative to start out with basic exercises and move up through the exercise progressions gradually. One must master bodyweight with a full range of motion before using extra load. Contrary to what is often said, one does not need to “lift with the legs.” The low back muscles are stabilizers, while the hips and thigh muscles are prime movers. It is perfectly fine to lift with the hips high as long as the lower back stays in neutral position. This simple act requires many of the qualities listed above, such as hamstring flexibility, glute activation, core control, and core/posterior chain strength. Learn proper movement mechanics and reinforce those movement patterns over and over until it becomes automatic. Finally, keep the load close to the body. If people learn how to follow these steps, many lives could be improved dramatically. To give you a personal story, a 21-year old former client of mine (now he’s 23) was told by three different doctors that he needed to have surgery on his lower back. He was in and out of the emergency room and constantly taking pain killers. After three weeks of training with me, his lower back pain completely disappeared. Within two months he began performing loaded squats and deadlifts with 135 lbs. Within six months he was squatting 300 lbs and deadlifting 380 lbs. It is now two years later and he has never suffered a single bout of lower back pain despite lifting heavy week-in, week-out. While this story isn’t the norm, it clearly shows that low back pain can be alleviated and a LBP-free life is possible if the correct strategies are employed. 1) Sam, what are your thoughts on “networking”? Well Bret, as you sited in your blog post, networking, is a tool – nothing more and nothing less. I believe it’s an essential tool though. Once that comes with success and is VERY powerful. I get SOOOOOO passionate and “fired up” when I talk about this subject. Too many college students I know fail because they forget or haven’t realized one simple truism – you have to go out and TAKE what you want! If you’re not willing to put in the time and establish relationships with people then don’t expect to get anywhere! I am a senior in college right now and I can easily pick up the phone and call Mike Boyle, Eric Cressey, Brijesh Patel, Jeff Oliver, Charlie Weingroff, Jeremy Frisch and speak with them all on a first name basis; a personal level. How/Why can I do that? Sacrifice! I sacrificed my time, effort, and money interning with these great minds, training at their facilities, driving over to visit them and talk shop, etc. I purposely sought to build relationships with them and show that I’m genuinely interested in the profession and want to learn everything I can to reach my fullest potential. Yes, you will have to give up some social life and yes you will have to give up other things in your pursuit of performance enhancement greatness. The essential principle remains SACRIFICE. You have to want bad enough to get in your car and drive states away just to network with someone, to sit down with them face to face and show them you’re interested and passionate. Emails are great but nothing is as effective as shop talk with hands on experience to go along with it. For Pete’s sake – how do you think I met Bret Contreras? NETWORKING! In this case it was through the medium of www.strengthcoach.com. All in all I am continuously humbled and honored by the fact that men like Michael Boyle, Jeff Oliver, Eric Cressey, Brijesh Patel, Jeremy Frisch, and Charlie Weingroff take time out of their lives to impart wisdom, knowledge, and understand on someone like me. I don’t know where I would be without these mentors. 2) Sam, when did you realize that you wanted to be a trainer? Wow, this is a loaded question from my perspective. It was actually the culmination of life events. I think like most in this profession it started with me being an athlete. From there I realized how much I enjoyed the preparation process for game day. Even as a freshman in high school I was obsessed with training, specifically program design. I met the S&C coach of the Houston Texans at a summer football camp where he gave me his S&C manual. I couldn’t put the thing down! The next summer I came back with my own “Sam Leahey Training Manuel”. He took a brief look at it and thought I copied it off the internet or somebody gave it to me and I just put my name on it!” While the content was crap (bodypart splits, etc.) it was so organized and put together in well fashion he couldn’t believe some crazy high school kid would do such a thing for his own use. 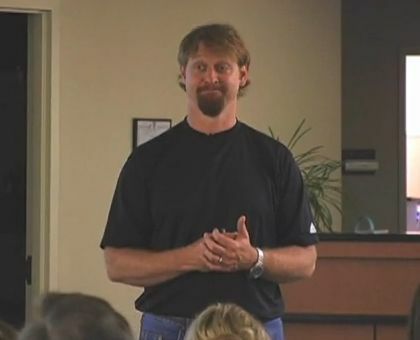 From there I found out who Don Beebe was and he became my new S&C man crush 8) I still have those old VHS video tapes of his on speed development. Time went on and the realization that a “program” is more than just lifting weights became more evident. I found out who Mike Boyle was my sophomore year of college and haven’t looked back since. The knowledge of www.tmuscle.com led to my knowledge of Eric Cressey, which lead to my introduction to Brijesh Patel, which brought me to Jeff Oliver, and on and on and on. This snowball effect has continued to advance and everyday I’m learning new things. From there I developed passions for all parts of the S&C program, not just one component of it like Resistance Training. I’ve sought to develop my skills in coaching movement and learning about corrective strategies like soft tissue work. I could ramble on all day here but to answer the question simply, I have no idea when I realized I wanted to become a trainer/S&C Coach. All I know is I was intrigued with the art of program design since I was a kid and my passion for it kept growing and hasn’t stopped since. That passion has turned into some concrete things in my life as I’m currently in college double majoring in Physical Education & Exercise Science with a minor in Sport Coaching. From here I intend to go to graduate school and get an MS in a related field. 3) Do you feel that your football experience makes you a better trainer? If so, how? HECK YEAH! I truly believe being an ATHLETE makes anyone a better strength & conditioning coach. An athlete is confident with his/her own movement and has the capability of demonstrating or expressing that movement competency to others they’re training or coaching. 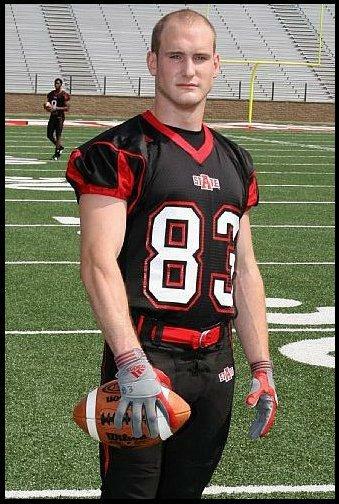 Playing both D1 and D3 football has given me great insights into the world of collegiate athletics. I was able to participate in an established D1 strength program for 3 years. I learned how a structured S&C program was run from the inside out. I saw the implications such a program and its coaching staff had for all our schools varsity teams and athletic department. I also got a chance to help coach as an athlete. After this experience I was able to contrast it by graduating early and transferring to a D3 school. There I saw just the opposite situation and realized even more so how vital a structured collegiate S&C program and coaching staff is to an athletic department and school. There was no S&C program at my new school and sport coaches were left to train their own teams, none of which knew how to properly of course. 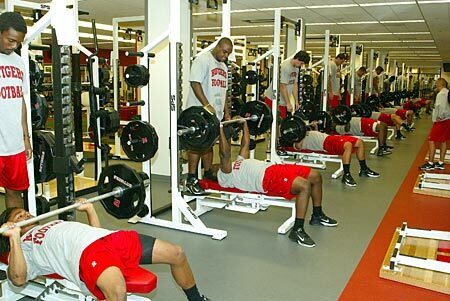 The school’s student weightroom sucked and most guys lifted on their own anyway – there were hardly any team workouts! Also, going through all this S&C and then playing the sport itself gives you a great understanding on what the training is going towards. You get to feel how what you’ve done off the practice field (GPP) translates indirectly into performance on the field (SPP). Finally, I think being an athlete before a coach always keeps you in check. You never forget what REALLY matters – the sport, and not the quantum nuclear phased super upside down periodization scheme. 4) I see you’ve worked or interned with Mike Boyle, Eric Cressey, Tony Gentilcore, Jeff Oliver, and Jeremy Frisch. List a couple of things you’ve learned from each industry professional. Boyle – “it’s all about logistics!” Who cares about the perfect program design if you only have 1 barbell, 1 set of dumbbells, and an airex pad. You have to learn to maximize your equipment use first before you can design your “ideal” program. Practicality first! Week 8: The Best Coaches Don’t LIVE in Internet Land! Cressey – “if you don’t have a decent foundation of strength then training reactive ability or even considering it is a waste of time.” Most of the young athletes that walk through Eric’s doors for training on day 1 aren’t even strong enough to get considerable benefits from classic plyo’s. Oliver – “you need to have a life!” I think a lot of people in our school of thought who are seeking awesomeness spend tons of time reading, listening, watching webinars, etc. This stuff is great and must be done but if you let it consume you at the end of your career you’ll look back and wish you took the time to invest in others things also like, YOUR FRIENDS AND FAMILY! It should go without saying that those relationships come first but you’d be surprised. Oliver – “Just because you write books, articles, and post on internet forums doesn’t mean you know what you’re talking about!” It’s been said before but I’ll say it again. Some of the best coaches are NOT posting on forums and getting their name “out there” over the internet. They are actually spending all their time coaching and getting results. We could easily take a look via the internet at people speaking on fitness and writing articles only to find their DEAD WRONG in what their saying. So the point here is that writing an article or lecturing on a topic is not indicative of correctness. Frisch – “The real keys to athletic success are genetics and recruiting”. If you’re one of those strength coaches who thinks that an athlete achieved great feet’s because of you, then you are SO lost! We don’t turn people into athletes, we make athletes better athletes! An individual’s athletic career is more dependent on their genetic potential than your S&C program. DON’T EVER FORGET THAT! 5) Tell me one thing that nobody knows about Mike, Eric, Tony, Jeff, and Jeremy. Boyle – Coach doesn’t like to workout! Cressey (“big EC”) – Eric hates the terms “fast twitch and slow twitch muscle fibers”. “The demands of the sport dictate the training, not what your genetic makeup is”. Also, Eric hates to be called Coach Cressey or be referred to as a “Personal Trainer”. 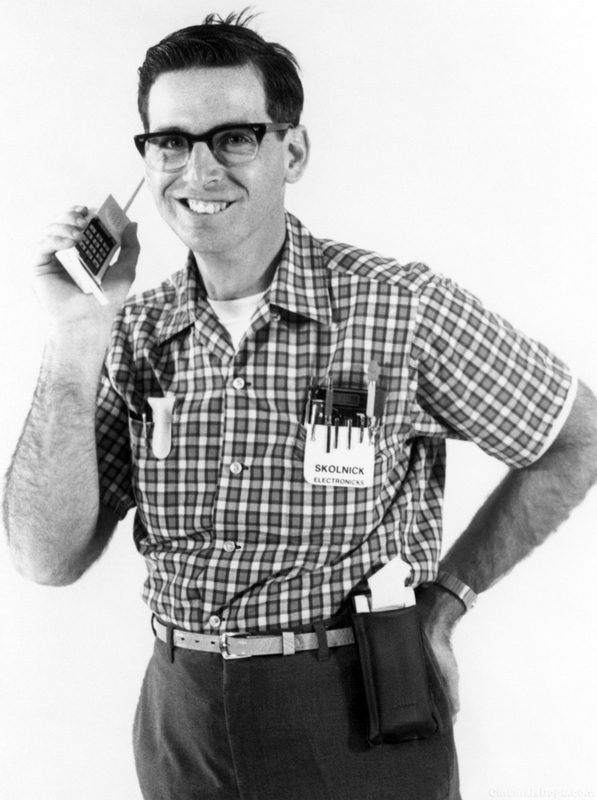 Oliver (“Olly”) – Jeff is the actual person who convinced Mike Boyle back in the day to use SLDL’s in his program. Frisch (“Fritter”) – Jeremy believes there is no such thing as “pre-season, in-season, post-season, of-season” training. 6) How many years would you say has the interning process fast-forwarded your learning process? YEARS UPON YEARS 8) Mike Boyle has been in the profession for 3 decades. He’s made and corrected so many mistakes. He’s forgotten more about fitness than I’ll ever know. I’m fortunate to spare myself all the mistakes he made because he’s shown me a better way of doing things. Eric Cressey may be the youngest guy to open his own training facility and it remain successful. A mentor like him can help me fast-forward my own career and get to my goals faster. An old and wise man like Jeff Oliver can help me see years into the future and make career decision that will put me in a much better situation decades from now. I just consider myself so blessed, so fortunate, and most of all humbled that these big timers take the time to help a small timer like me out. It really shows how much they truly care about the profession and helping other people out. 7) What do young trainers need to do more of in order to advance their careers? •	Try to be the dumbest person in the room. Surround yourself with people in the field smarter than you and you’ll always be improving. •	Understand that knowing stuff is half the battle. You actually have to be good at the coaching part of things to get results. •	Understand that coaching is something you do WITH the athletes, not AT/TO them. •	STOP DOING “PART-TIME” OR “PARTIAL” INTERNSHIPS! That will only get you half the results! You don’t HAVE to have a job. Sacrifice and put in the long hours at a good solid S&C facility/college. The benefits derived will pay for themselves in the future. •	Read, read, read, read, watch webinars, attend conferences/seminars, network, network some more, listen to podcasts, and then go out and COACH! Put all this new found knowledge into practical application. •	Repeat the above steps. 8. You believe that once an individual has proper mobility and stability, any movement (i.e. activation patterns) can be loaded, correct? What are some unique movements you prescribe or perform? Furthermore I think some people forget the “whys” when it comes to “activation” exercises. They’re meant to establish neural control. The folks at Athletes Performance believe you have to do activations hundreds of times before it becomes integrated fully. Either way, I think once you’ve established neural control and can consciously express that in compound movement patterns you can THEN decide if loading that pattern would be beneficial. Some are and some are not. After a while if certain muscles have been activated and integrated fully then I’ll drop activations all together. What’s the point? We have neural control? The key is maintaining it. I believe you can do that by turning lightly done “activation” exercises into actual loaded exercises. Scapular retraction, depression, and upward rotation are such example I’ve gone beyond “activations” with and turned it more into actual loaded patterns. It’s still “corrective exercise” but I’m doing things like heavy scap retraction on a seated row machine, heavy scap depressions on a dip bar, or heavy serratus/scap punches with a dumbbell. With the seated row example you simply keep your arms straight and retract and depress your scaps. I see nothing wrong with going as low as a 6RM! Same goes for the dip bar – just keep your arms straight and do reverse shrugs to train scapular depression. I’ll hang heavy weights with a dip belt and go as low as a 6RM. For upward rotation you can lay supine on a bench and with one straight arm holding a dumbbell protract your scapula for reps. All three of these examples along with Hip Thrusts are just some ways I believe loading “activation” patterns can be done safely. Now, going back to my initial thoughts, you wouldn’t want to do something like a supramaximal face pull! It would get pretty sloppy and you’d be getting more harm than good out of it. It just comes down to using coaching wisdom and understanding the “whys”. Just like depth of understanding is better than learning new stuff – mastering certain motor patterns is better than trying to be proficient at every single pattern under the sun. Get brilliant at the basics first. The whole world doesn’t need to stop doing bilateral squats because Coach Boyle doesn’t use them anymore. I feel like if Coach came out tomorrow and said “front squats are back in!” then everyone would be parroting “OMG! WE NEED TO FRONT SQUAT AGAIN!” Point being that Coach wants you to THINK for yourself, not be a short sighted parrot, and just do whatever he says. Do what is best for YOUR situation. In his situation, front squats are not the best option and no one should argue with him about it. Most people do them wrong. Stop shrugging and keep your chin tucked the WHOLE time! They need to be progressed properly! Don’t just jump on the band wagon without proper mechanics. Too many people are throwing a zillion pounds on a barbell and just blasting away. You will no doubtedly get too strong a compensation in the erector spinae if you don’t develop the motor pattern necessary for optimal gluteal dissociation. Learn and master how to move from the glutes with bodyweight first. Then load it up and progress only when you’ve mastered the proper kinetics of each stage. The key is coaching the exercise, not just doing it. Thanks for your time Sam!!! Much appreciated. Thank YOU Bret. Its big timers like you that constantly make me want to grow and be the best I can be because I realize I have so much more to learn. A couple of months ago I was training my client Katie Coles at a nearby training facility. Normally I trained her out of my garage but every once in a while we’d venture out. This particular facility was completely empty at the time; not a single lifter was in sight. As Katie began warming up, a nerdy-looking gentleman entered the facility sporting full workout attire and a clipboard to journal his workout. He actually looked so ridiculous that I whispered in something funny in Katie’s ear at his expense (real professional, I know). Katie performed three sets of squats with 135 lbs for around eight reps each set followed by three sets of Romanian deadlifts with 135 lbs for around ten reps each set. His workout consisted of three sets of machine preacher curls followed by three sets of cable tricep extensions. That’s it. Then he left. I guess it was arm-day for him. I would bet my life-savings that this fellow could not perform a single chin up or dip. Although I have an amazing garage gym, I still lift off-and-on at commercial gyms. In fact, I’ve been lifting at commercial gyms since I was 15 years old (for 18 years). I have a rule that I stick to: Do Not Ever Offer Unsolicited Advice! I don’t want some jackass coming up to me while I’m squatting or deadlifting, telling me that I’m going to wreck my knees and back, so I do unto others as I wish others did unto me by keeping my mouth shut. This is unfortunate because I could actually correct the technique of literally every person in the gym, but I only offer my advice when people approach me. If every gym in America only had squat racks, platforms, benches, chin bars, and dip bars, physiques would be SOOOOOOO much better, as it would force people to get strong at the big basic exercises.